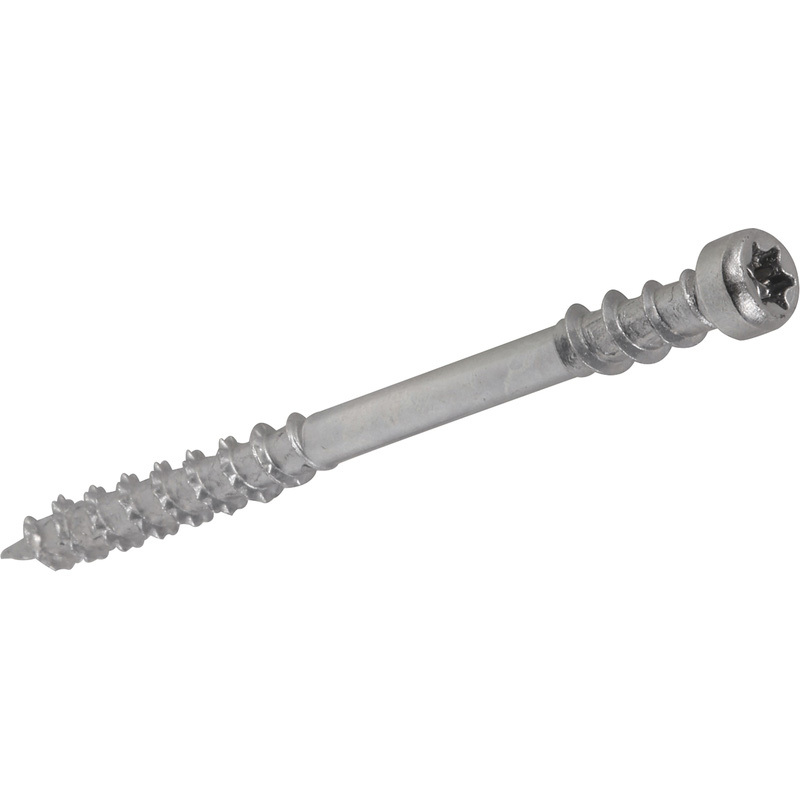 Corrosion protected screws suitable for wooden decking. Features a small cylindrical head for a better appearance. 4CUT point ensures exact screw positioning, reduces splitting and reduces the screwing-in torque required. Fixing thread holds the deckboard in place. Countersinks easily. T-STAR plus bit recess gives a secure fit and better driving. SPAX Wirox T-STAR Plus Decking Screw 4.5 x 60mm (250 Pack) is rated 4.0 out of 5 by 2. Rated 3 out of 5 by ChippyChris from Great but not good A great screw for many reasons but not good for use with millboard composite decking. Head is too large and rifled shank tears the surface material. Rated 5 out of 5 by Albadeemac from Space do great screws Like other spax screws these are top class. SS screws are often problematic as they can be soft and heads can strip but not one of these did. Should outlive the decking.